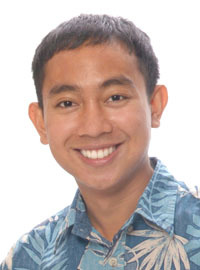 Greggor Ilagan has filed nomination papers for the Puna District 4 Council seat. If he is successful in securing the Puna seat, 25-year-old Ilagan said he would be the youngest candidate ever elected to Hawaii County Council. Ilagan will open a campaign headquarters on the corner of 31st Avenue and Makuu Drive off Highway 130 for people to come talk story and get involved. Residents of Hawaiian Paradise Park are familiar with their local family businesses, Joy’s Store/Hawaii Cargo. Ilagan served six years in the Air National Guard and is attending the Hawaii Community College studying accounting.